Throughout Prince The Idolmaker's career, he has been involved with a succession of protégés and side-projects. This story envelop a fascinating insight into Prince's production and songwriting techniques. Many of the artists have become stars in their own right. Perhaps most famous and successful of all of this musical projects have been ... THE TIME. When Prince offered to build a band around Morris Day in exchange for the song "Partyup" in the summer of 1980, it was the latest shift in a long and complex relationship. For years, Day had shadowed Prince along the road to stardom. When they were teenagers, Day joined Prince's first band, Champagne, on drums, replacing Charles Smith. They developed a strong friendship, and Day's mother, LaVonne Daugherty, helped manage the group. Prince, Day and bassist Andre Cymone(then using his last name Anderson) functioned as a team, sharing leadership responsibilities as they competed with other Minneapolis groups. 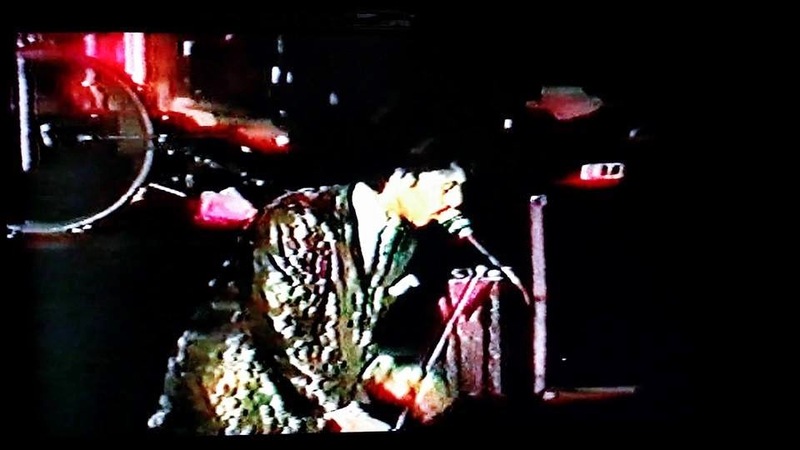 In the summer of 1980, during the recording of Dirty Mind, Day found his way back, albeit in a less glamorous capacity; he became a "runner" for Prince's band, picking up sandwiches and drinks during rehearsals. But Prince continued to respect Day's musicianship, as his interest in "Partyup" showed. When the deal for the song was struck, events finally seemed to have shifter back in Day's favor. "I was left a photo of the front of my condo—sort of—by Morris Day & The Time, who used my steps as the set for their debut album cover 30 years ago." Prince initiated this album before the band had even been assembled. The record was completed in only two weeks in April 1981 at his home studio in the basement of his house at Lake Riley in Chanhassen, Minneapolis. Only Oh, Baby was recorded in April 1979 at Alpha Studios in Los Angeles during the sessions for his own 1979 album "Prince". The final mixing of the tapes took place at Hollywood Sunset Sound in Los Angeles, from 28th to 30th April 1981. [Prince] himself plays more or less every note on the album. Matt Fink delivers synthesizer solos on Get it up and The stick, while Lisa Coleman provides some backing vocals on Cool and The Stick. Prince's own voice is often audible in the final mix. Get it up, get ready for a real good time. I'm gonna try to blow your mind. Can't you see? You and me. It sounds so nasty. Get it up, let your hair hang down. We could fool around. Don't you know? I want you so. Make me happy. Get it up, there's nothin' wrong. We're freakin' all night long. Me and you. We need a groove. It feels good, do it. Get it up, leave your cares behind. Let me try to find. Find the spot. That gets you hot. Let me do ya. Get it up, let your body drip. Let me take you on a trip. Can't you see? You're killin' me. You're so freaky. Get it up. Get it up. I'll work you all night. Get it up. Get it up. All night. 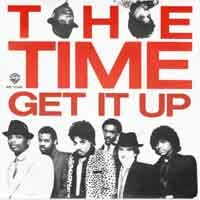 Although they hadn't yet really played together as a group in the studio, in August 1981 THE TIME performed their first live appearance at a showcase for a small group of executives from Warner Bros. Records at the S.I.R. Studio in Los Angeles, with Prince overseeing the proceedings by the soundboard. 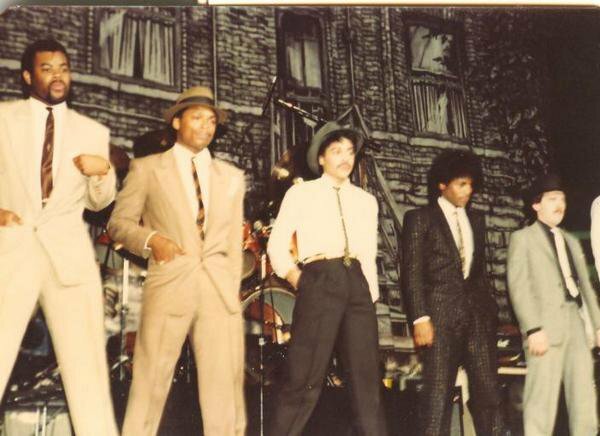 During rehearsals for the upcoming "Controversy"-Tour with Prince, THE TIME incorporated Jerome Benton into their acts to be Morris Day's on-stage valet. The band warmed-up in autumn 1981 by playing a small number of low-key gigs around the Minneapolis aera. The house was even their backdrop, cool, but what does it mean? I get the fishnet (stockings) for Vanity 6, but what is that place, just a house of ill repute?? What? So Morris Day wrote "Partyup" ? Girl, why'd you go away? What can I say, baby, to make you stay? In the '80s, when backdated attire turned a handful of street-wise musicians into sartorial hipsters, fans nationwide struggled to keep up with The Time. Inspired by zoot suits, bygone Hollywood glamour and underworld cool, the band scoured hand-me-down shops for designer castoffs to enhance their image as swaggering funk kingpins. 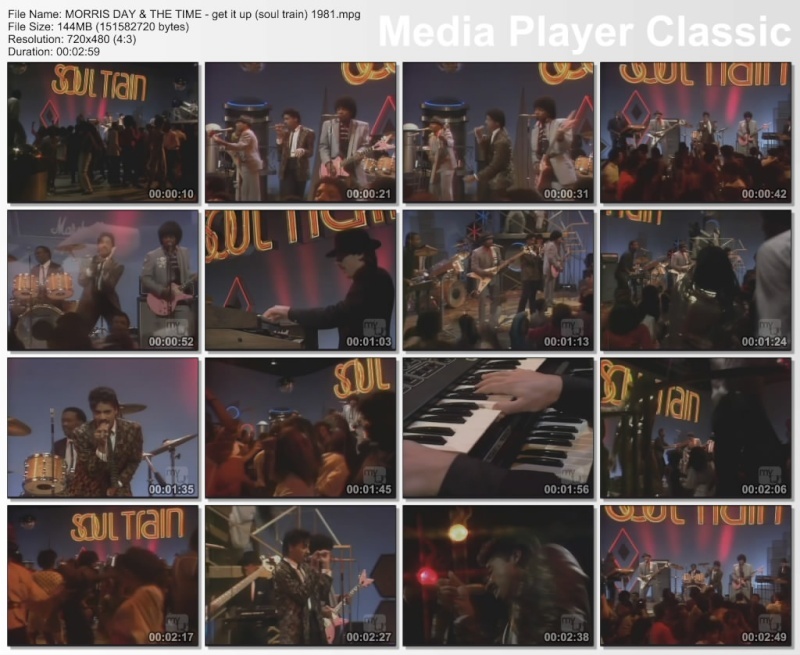 Porkpie hats, pleated trousers, wide-shouldered long coats, Morris Day's gold jacket with the tiger-print lapels. OK, not every outfit screamed panache. Some just screamed. Little has changed, except now they can afford new threads. "Our first clothing budget was $100," Jesse Johnson remembers. "For all of us." Sporting flashy suits, shades and fedoras, The Time continues to pride itself on fashion sense. And in typical Time fashion, the band is still behind the times, opting for a Godfather vibe over today's sloppy chic. It all started with sprees at Minneapolis vintage shops Ragstock and Tatters Clothing. "We were interested in being cool," Jimmy Jam says. "It was about attitude and feeling good about ourselves, even though we didn't have the money." Morris had to overcome his retail snobbery. "I ain't going to lie: I was a little apprehensive about going into a used-clothing store," he says. "But that original Presley (suit) came out of Tatters, and I wore it till it fell off." No designers or stylists played a role in The Time's flamboyant early press photos or videos. At concerts during the first tour, "every kid was dressed like us, because they could do it cheap," Jesse says. "The prices at Ragstock went way up." The Time's dapper-duds scheme soon backfired. Says Jerome Benton, "By the end of the tour, used suits at Aardvark's (in L.A.) were $300." Seems like nothing's ever gonna change in my world. Every day is more the same old thing. But in the spring, I'm gonna graduate from hi school. Then I won't have to live by anybody else's rules. Everybody tells me things don't stay the same. If you wanna live, you gotta play the game. But there's a lot of stuff that I could learn to do in my world. Learn to drive a truck or maybe even join a band. My parents tellin' me I got to go to college. I won't get anywhere if I don't have the knowledge. Uncle Sam keeps sending letters in the mail. If you don't register, you're gonna go to jail, gonna go to jail. 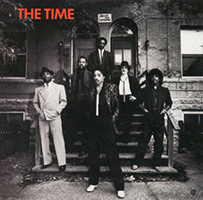 This year marks the 30th anniversary of Morris Day's first album with the Time, a self-titled effort of synthesizer-driven party-funk written by Prince and members of his Revolution. It sent two singles to the upper reaches of the Billboard R&B charts - "Get It Up," which featured an explosive Prince solo, and "Cool." Q: This year marks the 30th anniversary of the Time's first album. Was that a good experience working with Prince on that one? Morris Day: It was a great experience. We were all young and had no idea where the whole thing was going. So all those efforts back then were just innocent creative moments where we were just doing what we do and had no idea that it was going to take off the way it did. On February 16th, 1982 The Time put on an amazing show at The Roxy Theatre, Los Angeles, CA. They headlined this show performing 6 songs The Stick, After Hi School, Oh Baby, Get It Up, Cool, all from there 1st Album and a new song called Dance 2 The Beat. The Band looks in top shape Morris is full of energy, he even asked for a mirror twice which Jerome was glad to bring to him. Jesse Johnson's guitar playing is on point through and through. What really makes this release special is the last song they performed "Dance 2 The Beat" the purple 1 himself Prince joined them on stage. Merely singing a few lines but enough to get the crowd hyper. Dance 2 The Beat reminds me of songs like "Jack U Off" and "Delirious" Jesse Johnson Guitar work is great on this song. This has to be one the best shows I seen The Time do this is highly recommended. The hostilities burst to the surface during the last show of the tour at Riverfront Stadium in Cincinnati. During their opening set, the Time found themselves being pelted by eggs from offstage. Gradually, they realized that Prince and some of his band members were the culprits. 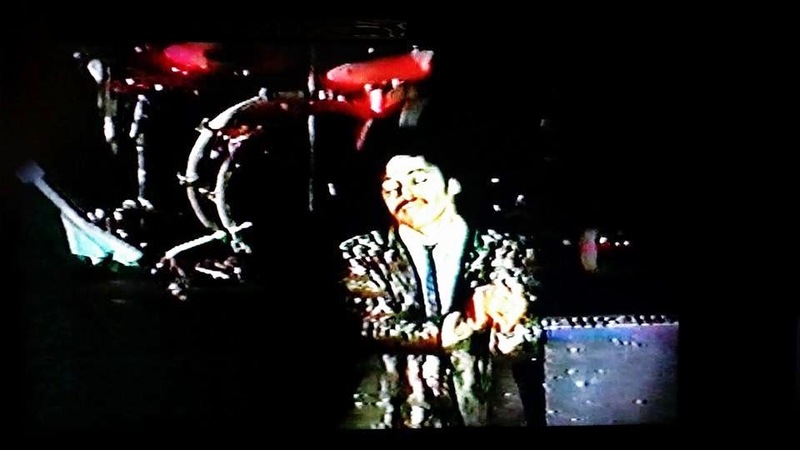 The barrage increased, and, toward the end of the set, Prince and his accomplices abducted Jerome Benton, a dancer for the group, from the stage and poured honey all over him. They they pelted hims with garbage. "They tarred and feathered him, basically," recalled Fink, who did not participate and insisted to the Time members that he wanted no part of the battle. Then, as the Time's set ended, Chick Huntsberry grabbed Jesse Johnson and hauled him to Prince's dressing room. There, Huntsberry handcuffed Johnson to a horizontal coat rack bolted into a brick wall. Prince came in and began taunting Johnson and tossing Doritos chips and other pieces of food at him. "This is what you get for talking about my mama!" Prince shouted. 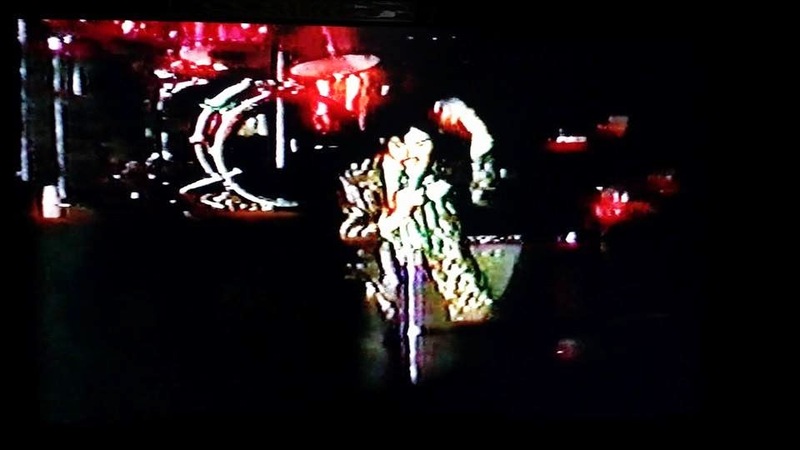 The various members of Prince's band and crew in the room looked on with horror as the episode continued. "It was a cruel thing to do," observed Bennett. Fink recalled, "I just sat there and said to myself, this is getting out of hand." Humiliated and frightened, Johnson writhed in his cuffs. Finally, to the amazement of the onlookers, he managed to rip the entire twelve-foot-long coat rack out of the wall. His hands were still cuffed to the rack, which he began swinging wildly. "Jesse was uncontrollable," Fink said. "He just lost it. Chick had to contain the situation before someone got hurt." 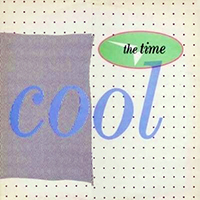 Cool" is a song by The Time, released as the second single from their eponymous debut album. 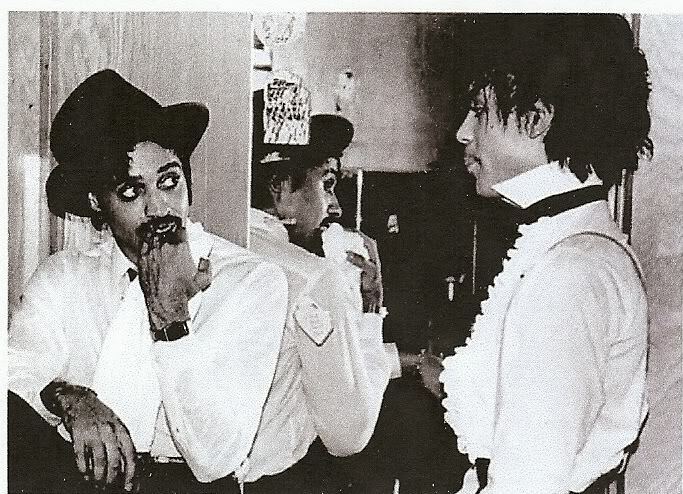 Like most of the album, the song was recorded in Prince's home studio in April 1981, and was produced, arranged, and performed by Prince with Morris Day later adding his lead vocals. The song was co-written with Revolution guitarist Dez Dickerson and contains background vocals by keyboardist Lisa Coleman, however both were uncredited. Oh oh - Honey, baby can't U see? Cool - Honey, baby can't U see? (C-O-O-L) What time is it? Is it time 2 get my hair done yet? I said, "What time is it?"